Updates to Sandie's profile since your last visit are highlighted in yellow. State Compensation Ins. Fund RETIRED!!!!!!!! Matthew Born 1980, David born 1977 Grandsons David 15, Steven 10, Ryan 6, Granddaughters Genny 12 and More…Lauren 4. Sandie Whitehead Pidal-Haley has a birthday today. 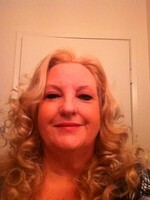 Sandie Whitehead Pidal-Haley updated profile. View. Sandie Whitehead Pidal-Haley posted a message. Sandie Whitehead Pidal-Haley added a comment on Profile. New comment added.